2014 promises to be a year of positive new initiatives for EURADIA and the diabetes research community more generally. As a result of sustained efforts by many in the research and advocacy world, diabetes is now gaining more attention, this being particularly evident at the recent kick-off meeting for the EU’s new Joint Action on chronic diseases in Madrid (CHRODIS-JA). We marked the welcome announcement of Horizon 2020 funding calls with our own, new quarterly funding bulletin which we hope will be of use. At a time when EU diabetes research funding is paramount, we will also continue to send out regular email funding alerts. Closer to home, we are pleased to announce that the ‘InterConnect’ project is now moving ahead apace. With the support of the European Commission, this 4-year scoping project aims to establish a global network that will facilitate the co-ordination of population research on the interaction between genetic and environmental factors in the causes of obesity and diabetes. EURADIA is specifically responsible for developing a sustainable and dynamic network of stakeholders and we will also be disseminating information about InterConnect to the research community, funders, stakeholders and the wider public. Please do visit InterConnect’s new website – your feedback is always most welcome. We are also in the process updating the EURADIA Diamap Project and the Diamap Road Map Report, due to begin work this Spring. DIAMAP was originally a European Commission FP-7 funded project which undertook a wide survey of the European diabetes research landscape, from which expert opinion could identify gaps and highlight strengths in order to guide a Road Map strategy for diabetes research in Europe. The kick off meeting of the Joint Action addressing chronic diseases (CHRODIS-JA) started on 29 January in Madrid. The aim of the 3 year ‘CHRODIS’ action is to help EU countries and regions to share good practice in addressing chronic disease and involves 38 organisations from 22 Members States, Norway and Iceland. As much of the burden caused by chronic disease is preventable, tacking these issues and ensuring that European health systems remain sustainable is essential. It is anticipated that the Action will result in a mechanism for the collection, validation, scaling up and transferring of good practices to address chronic diseases and multi-morbidity. Diabetes will be treated as a case study and will focus on multidisciplinary care, from primary prevention and treatment to national plans. The action is funded under the 2013 Plan, with 50% EC co-funding of €4.6 million and a total cost of €9.2 million. Find out more from DG Health here or contact the project co-ordinator Dr Juan E. Ries. Action to overcome health inequalities is required at EU, national, regional and local level, engaging a wide range of stakeholders across a range of policy areas. This Joint Action aims to strengthen the effectiveness of policy making at all levels. 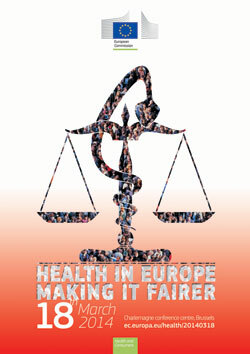 The Equity Action final conference took place on January 23 in Brussels, bringing together a wide range of stakeholders, including MEPs, experts in health inequality, policy makers. Speakers included Tonio Borg, EU Commissioner for Health, Zsuzsanna Jakab, Regional Director for Europe, World Health Organization and Paula Testori Coggi, Director-General for Health and Consumers, European Commission. See EURADIA’s new funding bulletin for details of all Horizon 2020 and other relevant calls on the EURADIA website. 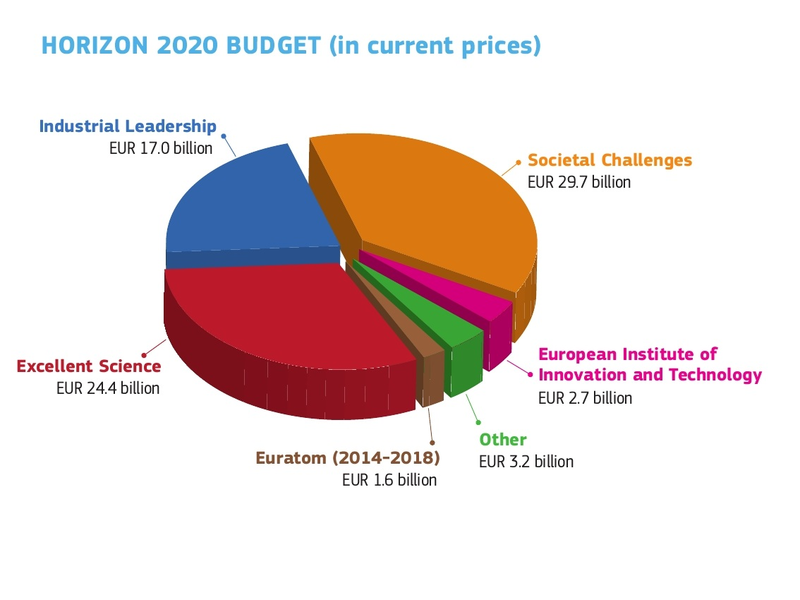 Horizon 2020 was launched in December 2013, with funding for projects worth €15 billion over the first two years. This represents the first installment from the EC’s new research and innovation programme. As Máire Geoghegan-Quinn, European Commissioner for Research, Innovation and Science, pointed out at the Brussels press conference, this funding is welcomed by researchers who are finding national budgets squeezed; by business who need research and innovation in order to remain competitive in global markets and ultimately, by EU citizens. For the first time, the European Commission has given more clarity on the priorities and direction of EU research policy. Funding is focused primarily on the three key pillars of Horizon 2020, these being ‘excellent science’ (approx €3 billion), ‘industrial leadership’ (€1.8 billion) and ‘societal challenges’ (approx €2.8 billion). More detailed information about the first calls and the 12 focus areas can be found here and at the EC’s participant portal. There are 2 specific calls relating to diabetes (see immediately below), but also many other funding calls relevant to our network. SCOPE: Proposals must focus on type 2 diabetes. Proposals should generate new knowledge on interventions and their implementation for the prevention and treatment of type 2 diabetes in low and middle income countries, and in vulnerable populations in high income countries. Proposals must focus on existing approaches to prevention and control of type 2 diabetes rather than development of new treatments. Proposals may address prevention or treatment of specific complications of type 2 diabetes. See full call here. SCOPE: Proposals should develop one or more functional biomaterials for the long-term clinical efficacy of transplanted pancreatic islets, and the safe and reliable harvesting of cells from identified source(s), which facilitate highly sensitive identification/screening and sorting of isolated cells; allow for easy handling and safe storage of isolated cells and/or tissue engineering constructs; provide immunoprotection and facilitate construct grafting in target anatomical areas; as well as clinically-reflective in vitro models useful as indicators of long-term in vivo behaviour. See full call here. Thrasher Research Fund - Spring 2014 cycle The purpose of the Thrasher Research Fund is to encourage the development of medical research in child health by awarding small grants to new researchers. The Fund is open to a number of research topics important to children's health. Both incidence and severity are considered when determining the significance of a problem being studied. Find out more at the grant website here. The aim of the call is to enable scientists in different countries to build an effective collaboration on a common interdisciplinary research project based on complementarities and sharing of expertise, with a clear translational approach. The research projects have to focus on the pre-clinical development of therapeutic approaches in suitable existing animal or cell model. If you are in the process of putting together a consortium or seeking research partners, please do let us know and we will include your project details both here in our newsletter and on the EURADIA website. A European research group is currently working on a proposal intended for the Horizon 2020 topic ‘Understanding health, ageing and disease: determinants, risk factors and pathways’ (PHC-01-2014) under the call 'Personalising Health and Care'. The proposal builds on findings from a recent FP7-funded project, DISMEVAL (‘Developing and Validating Disease Management Evaluation Methods for European Healthcare Systems’). This showed that type 2 diabetes management in many European countries is still overly provider-driven and not sufficiently tailored to the health care needs, preferences and abilities of individual patients. The aim of the proposed research is to develop instruments that facilitate a move from this ‘one-size-fits-all’ (disease management-like) approach to type 2 diabetes management to a more patient-centered, tailored care form that can lead to improved patient experience and has the potential to increase cost-effectiveness in practice by limiting the over, under and misuse of services. The instruments that the group intends to develop have the form of ‘patient profiles’, which combine the disease and patient features needed to stratify type 2 diabetes patients into clinically relevant subgroups, for whom optimal combinations of self-management support and professional-led care can be developed. The research team are looking for European partners for this project. Please contact Dr Arianne Elissen, Professor Dr Bert Vrijhoef (National University of Singapore) or Professor Dr Nicolaas Schaper (Maastricht University Medical Centre) for more information. The LIBE committee (civil liberties, justice and home affairs) of the European Parliament have proposed 2 significant amendments (Articles 81 and 83) to the Data Protection Regulation. This proposed new Regulation would extend the scope of EU data protection law significantly. The original draft Regulation set out a proportionate mechanism for protecting privacy, while enabling health and scientific research to continue. However, serious and widespread concerns have been expressed that health and scientific research will be threatened if the amendments proposed by the LIBE committee are taken forward. A number of organisations argue that the benefits generated by scientific research involving personal data will be seriously hindered, if not rendered illegal. The Wellcome Trust has released a joint statement urging the Council of Ministers to maintain the original Commission text and to oppose the LIBE committee’s amendements both in the plenary vote and in trilogue negotiations. This new report notes that while non-communicable diseases such as diabetes continue to be the leading cause of morbidity and mortality in Europe, innovation and achievements are visible, both in terms of disease prevention and control. The WHO nevertheless challenges Member States to scale up efforts to end the needless loss of life and productivity caused by non-communicable disease. Read the full report here. This new policy summary was presented in London, hosted by the Department of Health, inaugurating the newly established partnership with the Observatory, promoting and facilitating international knowledge transfer in health policy making. The publication is a joint collaboration between the Observatory, the WHO/Europe and the OCD and brings together evidence surrounding health promotion and non-communicable disease prevention. This policy summary argues that there is a substantial evidence base on the effectiveness of a wide range of actions targeted at risks to health including impacts of diet and patterns of physical activity, children's exposure to environmental harm and the protection of mental health. Read the full report here. The conference focused on three main issues: non-communicable diseases (NCDs) and development, a tobacco-free Europe and national responses to NCDs. The Ashgabat Declaration was adopted at the conference, representing a commitment to Joint Action for NCD prevention and control in the European Region. Dr Pekka Puska (Director General at the National Institute for Health and Welfare, Finland), made particular reference to diabetes and her paper can be accessed via the link below. Read the full conference report here. The first ever forum for Parliamentary Champions for Diabetes has just been held in Melbourne, during the World Diabetes Congress, organised by the International Diabetes Federation. The parliamentarians released the Melbourne Declaration on Diabetes, agreed to unanimously, which established the Parliamentarians for Diabetes Global Network. This declaration is significant as is recognises the severity of the diabetes pandemic faced by all nations. British MP Adrian Sanders was elected President of the first executive committee. Simon Busuttil, Malta’s opposition leader and Dr Rachel Nyamai MP from Kenya are Vice-Presidents. Tonio Borg, European Commissioner (DG SANCO) drew attention to the recently launched EU Joint Action to address chronic diseases and promote healthy ageing. Read the Melbourne Declaration on Diabetes here. Considerable attention was paid to diabetes at the conference, since patients living with chronic diseases are often confronted with severe societal challenges due to the lack of existing patient-centred care. Diabetes was the focus of Sandra Stiefel’s workshop on patient-centred care, as less than half of all diabetes patients achieve control of their diabetes due to the lack of a real model of chronic care. Austria, for example, is the European country with the highest uncontrolled hospital admissions for diabetes, which is four times the rate of Italy. Søren Eik Skovlund (Novo Nordisk) presented the results of the DAWN 2 study that analysed and identified barriers preventing the implementation of more patient-centered care among people living with diabetes. Italian researcher and diabetologist Marco Comaschi drew particular attention to the needs of family members of those living with diabetes, and the need to raise their levels of awareness and knowledge about the disease. Annemarie Bevers (IDF Europe) also highlighted that psychological counselling should be part of a diabetic person’s treatment. Read the full conference report here. IDF Europe study on Access to Diabetes Treatment in Europe. IDF Europe recently published the first report of its kind to highlight disparities accessing medicines and devices for diabetes care across 47 countries. Based on over 1,150 responses to questionnaires, interviews and desk research, the study intends to provide evidence to stakeholders and policy makers about the challenges faced by people living with diabetes when accessing treatment. The study explores its themes via 5 sub-regional analyses plus detailed country profiles. Download the full survey here. European Medicines Agency publishes report of the workshop held on 26 September 2013 discussing further development of patient involvement in the evaluation of medicines, in particular in the assessment of benefit and risk that lies at the heart of the regulatory process. Free e-learning courses designed to teach health researchers how to commercialise their findings now available through EU-funded Health-2-Market project.